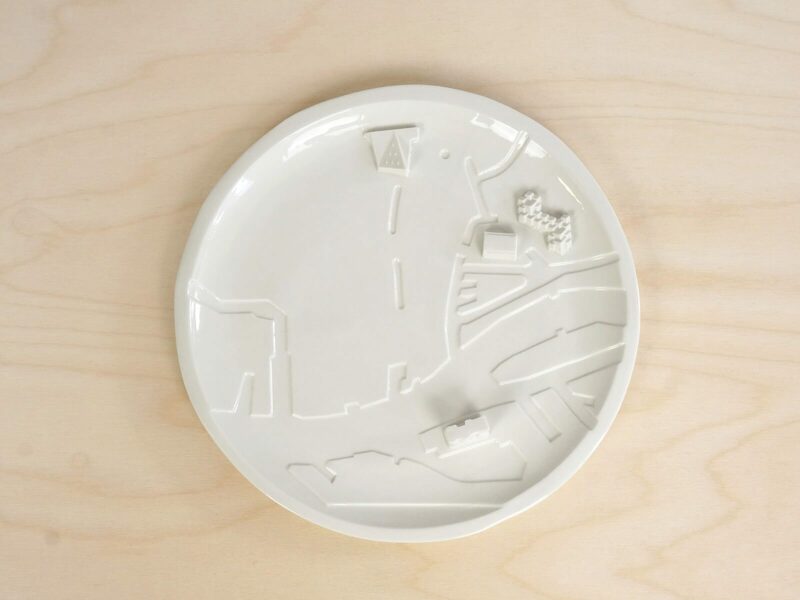 Design studio Lorier celebrates with ten food platters in porcelain the global diversity of its customers. 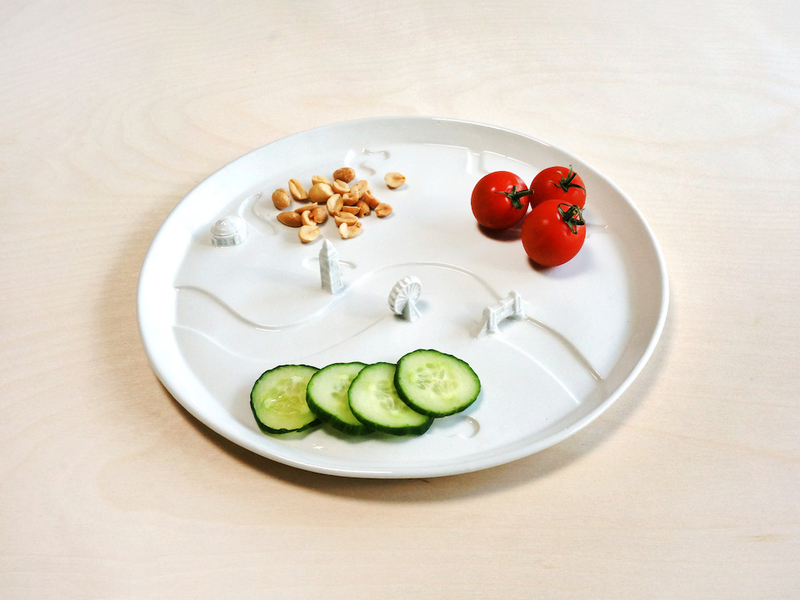 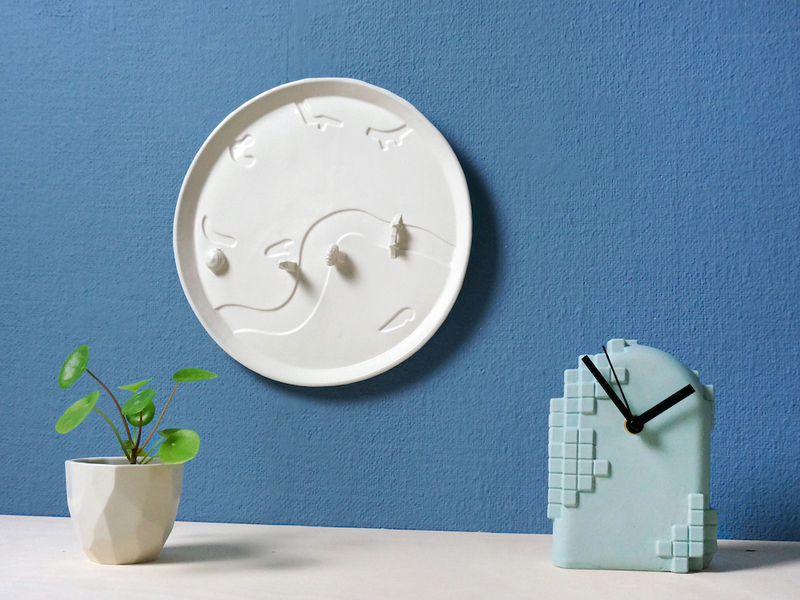 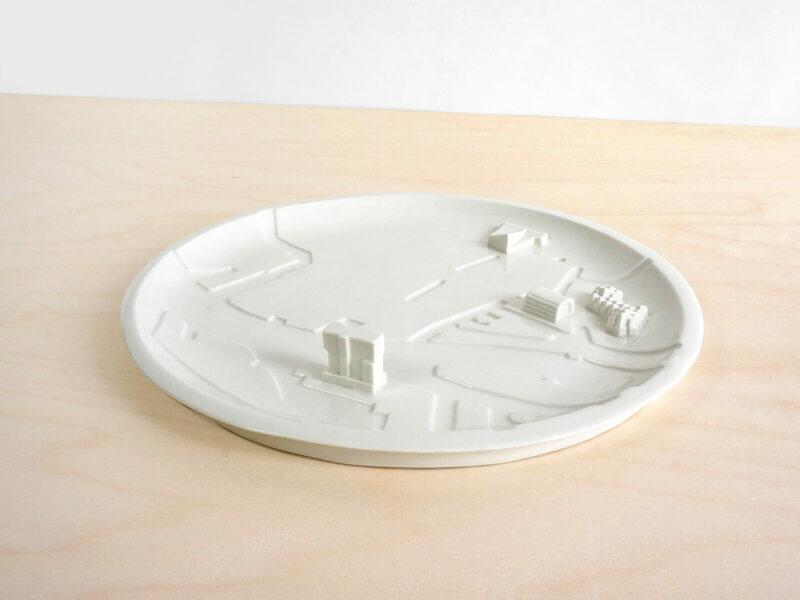 These platters are actual artworks for their sake because of their original design, but they also have the ability to turn into platters to present food as soon as necessary. 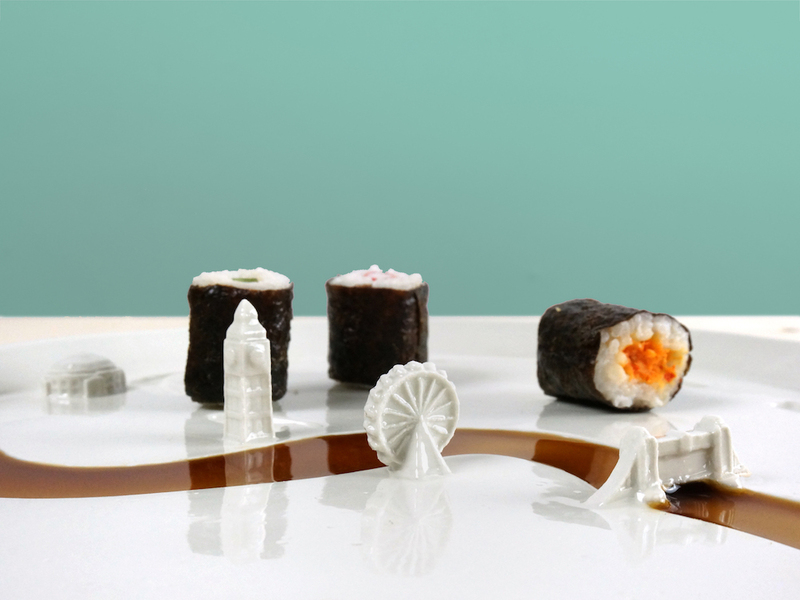 New York, San Francisco, Chicago, Paris, London, Berlin, Hong Kong, Sydney, Rotterdam and Amsterdam are the cities where you will enjoy to pick a mini pizza or a shrimp maki while watching the Thames turning in a giant soy sauce river. 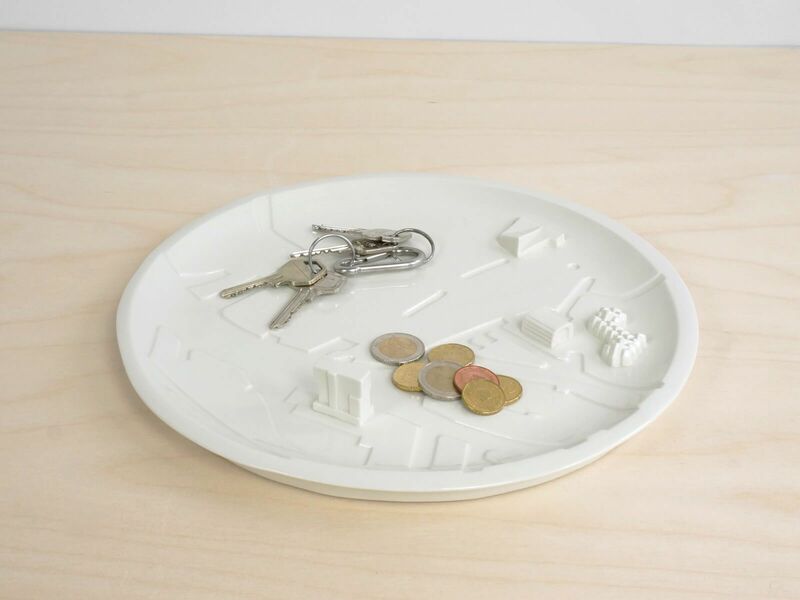 But these plates could also serve other purposes, hung on a wall as a piece of art or on a desk to put your keys, the choice is yours !